Jonathon Pototschnick, is an entrepeneur with several service industries in his portfolio. 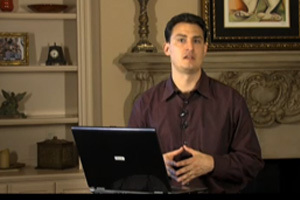 He lectures and consults on building a business using effective Internet marketing strategies. Search Engine Optimization or SEO, is becoming a popular term not only with computer “nerds” but also with dentist as everyone is looking for the best way to insure that coveted front page location on the search engines. SEO, or building your page rank is not terribly complex and while many companies charge tens of thousands of dollars to do this for you, the reality is you can do much of this on your own. This program focus’ on four things you can do today to improve your page’s rank. They include, building one way back-links, better title tags, frequency of updates and improved copy. If you can focus on these four factors you can vastly improve your website’s visibility. Most dentist have a company manage their website and their SEO campaigns and consider to complex to try to understand. You might be saving thousands of dollars every month simply by understanding some basic questions to ask. This program is not designed to make you a webmaster but to give a broad understanding of SEO and how you can utilize simple procedures to increase your webs performance. Explain the difference between Organic (free) search and paid and how to increase your free placement. Describe the balance between copy written for the search engines and that written for the consumer. List the best method to insure your site is listed higher in your local area. Define basic search engine optimization terms used in the industry. I. What to look for when hiring a company for SEO. II. Advertising in search engines. Hufford Financial Advisors address the unique challenges facing dentist and their practice. Dr. Trent Smallwood describes how to make smile design profitable.